Kingsriver Community was founded in 1986 and has been providing residential and daycare programmes for adults and young people with a variety of special needs in a community setting since that date. The focus is on people’s abilities rather than their disabilities. Initially providing workplace training and employment possibilities through high end furniture manufacture, Kingsriver now concentrates on providing quality, person centred, opportunities in a range of areas including woodwork, arts and craft, health related exercise and living skills. Kingsriver Community also provides a residential service for a small group of people. 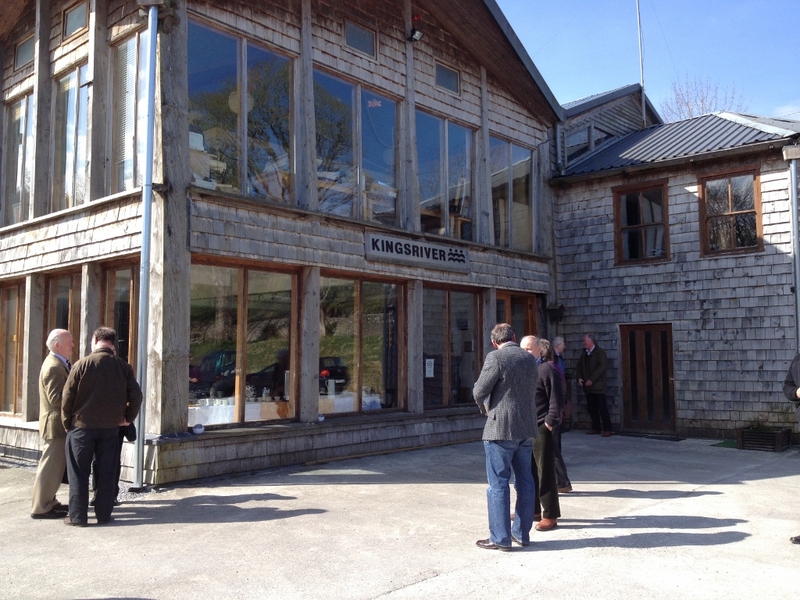 Kingsriver Community is a FETAC registered centre providing accredited courses and an accredited hosting organisation in the Europen Voluntary Service (EVS) programme. 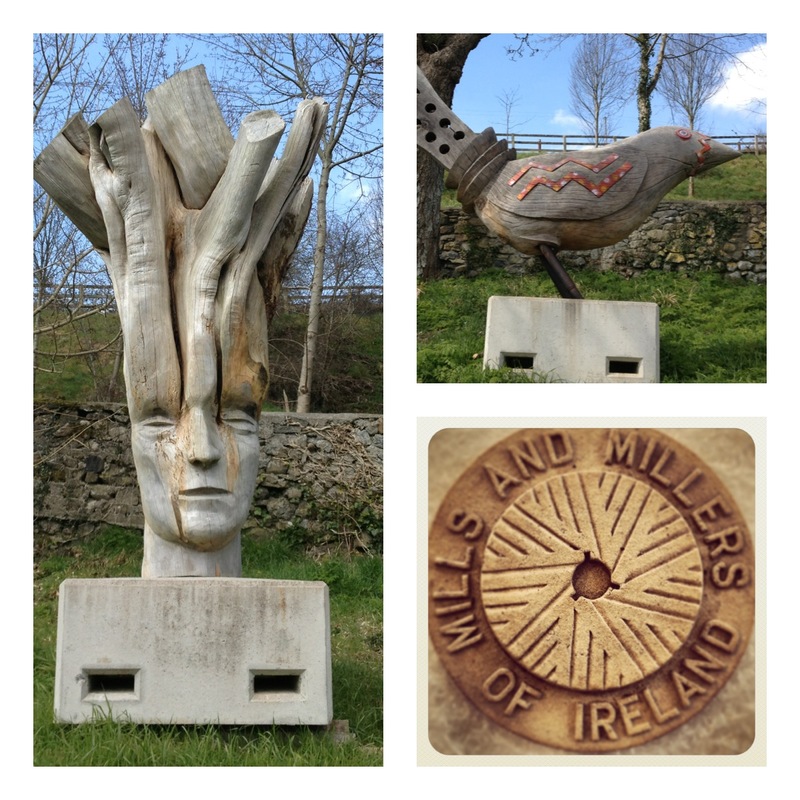 Blue skies and sunshine, what a way to start the Mills and Millers Spring Event. Arriving at the Kings River Community the first thing to catch our eye was the wonderful sculptures lining the entrance to the main building – a wonderful timber clad energy efficient building. The members of the Mills and Millers of Ireland gathered to hear Pat Phelan of the Kingsriver Community speak about the plans for the Kingsriver site, their hydro application and plans for the mill buildings. Colm Byrne of GLAS Learning Centre gave a quick overview of the mill sites we would visit and then showed us around the training rooms and display areas. 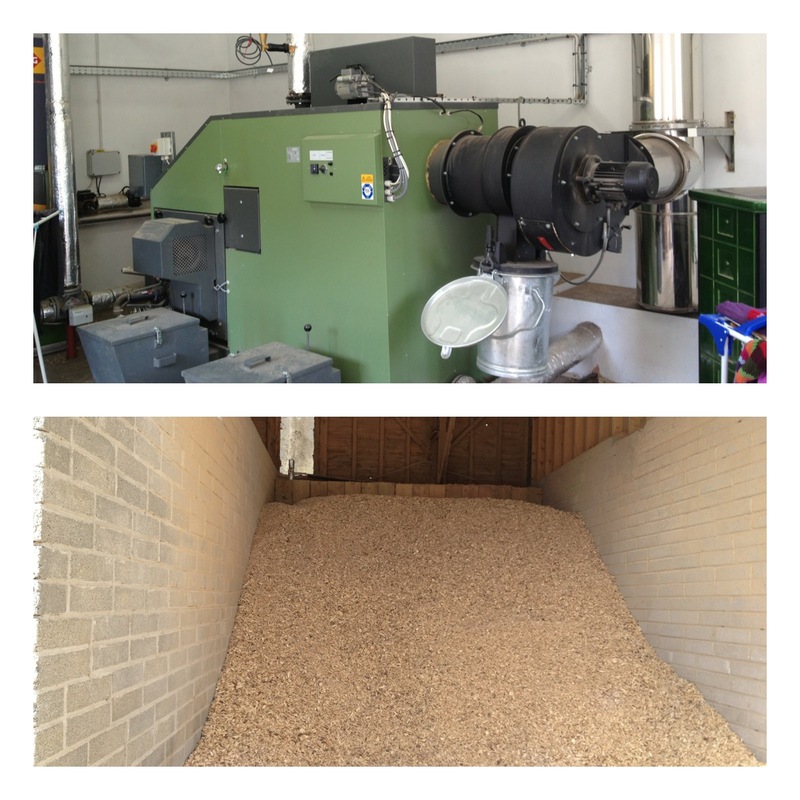 The installation of a 200kW wood chip boiler fuelled by locally sourced wood chip was installed at the centre in 2010. 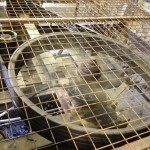 The boiler is at the centre of a local heating network, displacing gas and electricity as heat sources for the workshops, showrooms and accommodation units. 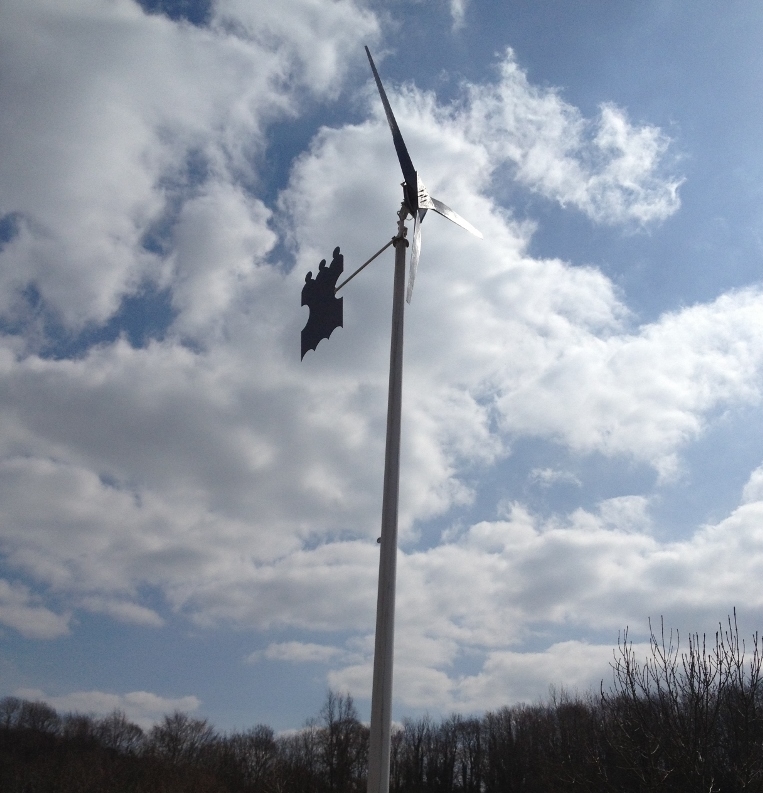 The Kingsriver Community built their own 4.2m off grid wind turbine on site and is now fully operational. Glas Learning organised the ‘Build Your Own Wind Turbine’ workshop which was conducted by Hugh Piggott. During the earlier presentation we heard about the plans for the old mill which has a preservation order on it. With its impressive seven stories it is the highest mill in the area. 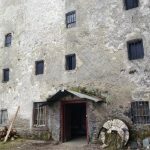 The Community group are planning to install an Archimedean Screw Hydro Turbine and convert the mill building into an educational and visitor centre. 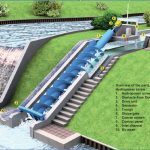 The Archimedean Screw hydro scheme that is planned is currently at the design stage. .
Rockview Mill this was a fine seven-storied limestone structure. It was well preserved until 1989 when part of the front roof was damaged in a storm. The Griffith Valuation Records show Rockview Mill leased by Robert Pilsworth from Margaret Mc Creery in 1845 – the value of the buildings being £113. The Pilsworth family of Thomastown commenced their milling enterprise in 1845 when Robert leased the above mill and the nearby Merino factory. 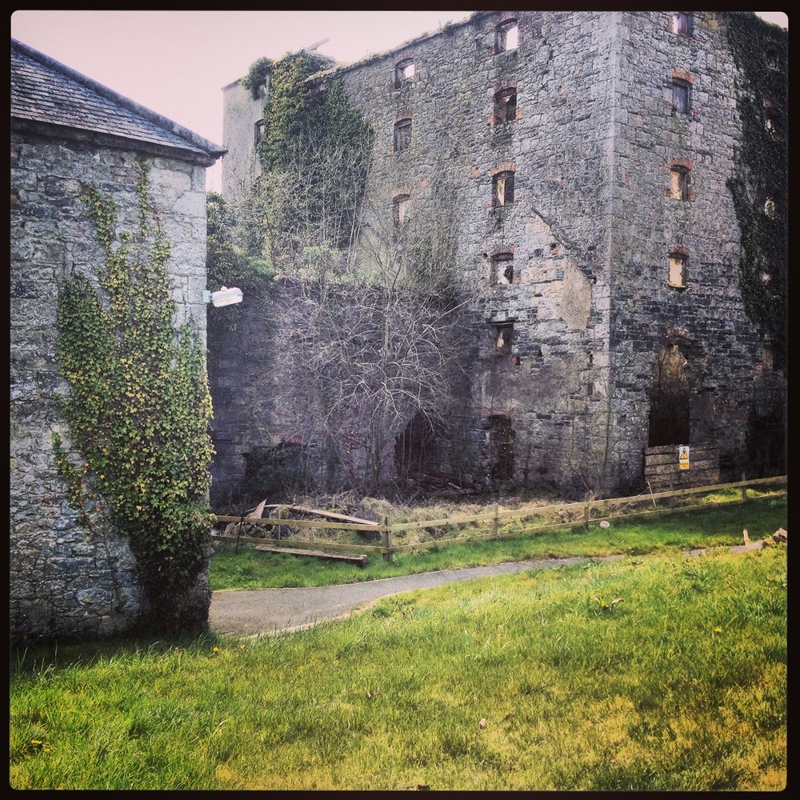 In 1847, Robert married Ellen, daughter of William Bull, owner of Grennan Mill, Thomastown. William died in 1848 and Robert became owner. 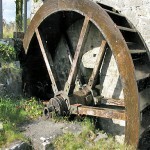 He installed his brother Thomas as manager of Grennan Mill and his brother William as manager of Merino Mill. In 1864 Robert took over the management of Grennan Mill which by then had become the more important business, as it was adjacent to the railway in Thomastown. Management of Rockview was given to a relative – Thomas Booth, he was to work the mill for one third of the profits. Robert died in 1870, leaving two sons under 21 years. They were placed under the guardianship of Rev. James Graves, Rector of Ennisnag. By 1876 the two young Pilsworths were suing Booth for mismanagement as Rockview began losing money. Booth was fired and Rockview was closed the two Pilsworths taking over management of Grennan Mill (Silverman and Gulliver 1986). 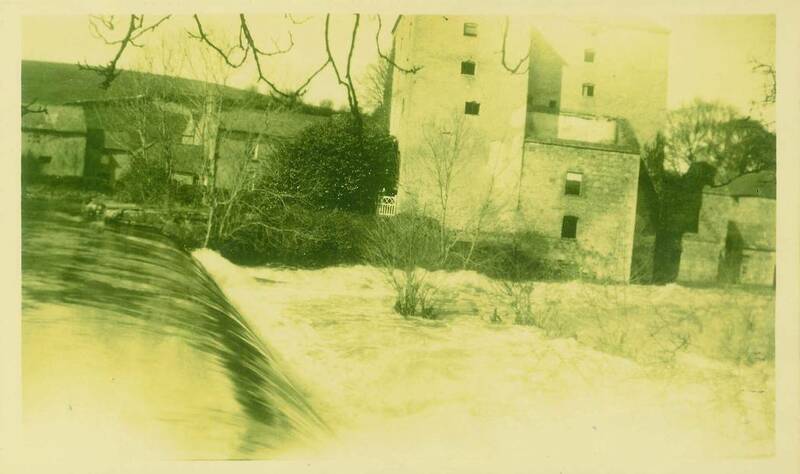 Later, Rockview Mill and house were owned by Dr. T. O’Brien – the mill being used for storage purposes. In 1986 the King’s River Community purchased the house and mill. The students and residents are busy preparing the Community Garden for the season ahead where they grow a vast range of organically grown fruit and vegetables. A glasshouse and a room in front of it for changing into garden clothes and washing hands is under construction at present. The Kingsriver Community have to be admired for their vision and continuous efforts in working towards a sustainable future. 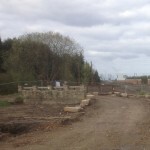 Other plans for the area include the building of independant houses, development of the islands, bridges and the 6 acre wood. 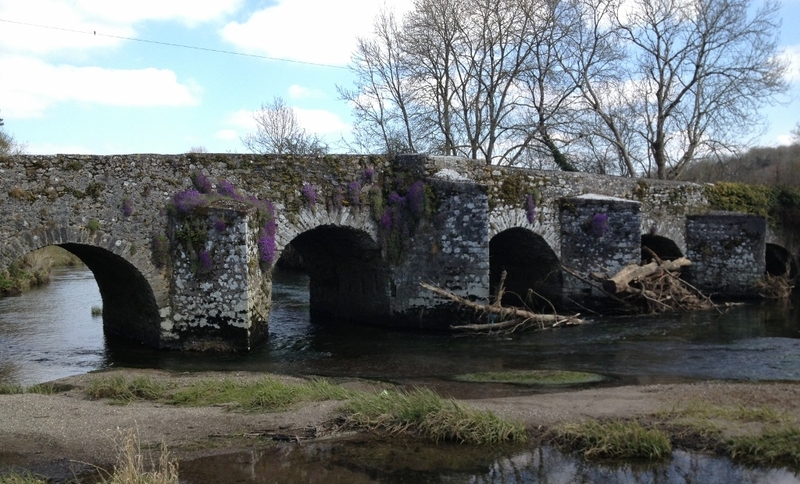 At the entrance to Kingsriver Community one cannot help but notice and admire the wonderful old stone bridge covered in campanula. The bridge is the oldest, or one of the oldest bridges in Ireland. It was once a toll bridge on what was then the main Waterford/Dublin Road over which horses and carts crossed heading to the mill.